Zombies… They’re coming. Thats why you need to grow your own vegetable garden. Are you ready? Before we get going on this introduction, I want to tell you that I will be updating links to the posts in this series right here in the introduction below. This is also a series on our blog and can navigate that way as well. You may be interested in main gardening page too. I am sitting at my kitchen table looking out over a thawing yard and garden. Fresh off the boiling pot my DIY maple syrup is filling the room with a wonderful sweet smell. I’m getting inspired to start laying out my summer garden and make plans for producing most of my families produce for the year. There are a couple of things we had to wrestle with. We didn’t want to be homesteaders. We are suburban parents with four young kids and we live in 2016. We are tech savvy and don’t really see any need to try to live off the grid. We just want to take a summer to see what kind of food could be produced on our own. We don’t have a particularly large yard or acres of extra land anywhere. Our lot is 1/4 acre and I have access to a couple of areas at my nearby parents house. We still want a yard, we still want to be able to go to the store, and we certainly want to live in the modern age. 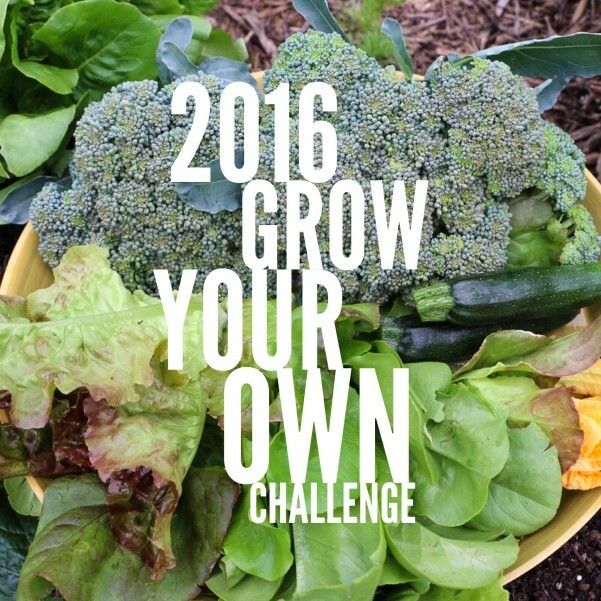 The goal is to demonstrate how easy and good it is to grow your own food. There are a number of benefits to growing your own produce. The obvious one is growing food for the family. But the secondary reasons include eating better, eating fresher, saving money, teaching kids responsibility, teaching them where food comes from, and making awesome content for our blog. And this one goes without saying … to make a food cache when the zombies come. From the garden: basil, parsley, cilantro, chives, tarragon, garlic, dill, etc..
Plus, we will have plenty of fresh from the garden produce as well. Forged plants like grapes and wild berries. Read how we started our seeds. Let’s not forget that gardening and foraging can be beautiful. From time to time we collect some natural items for displays, wreaths, or table settings. We also grow decorative gourds and other pretty plants for flower cuttings. I’ll share some of that as well.